Posted on November 10, 2017 by Max U. My English teacher assigned Of Mice and Men book to my whole grade to read. When I first opened the book i felt like this would be a good book and it was. After reading a little into the first chapter I was very excited about what would happen next. Will George and Lennie’s dream ever come true and will Lennie ever get to tend the rabbits?. These are questions I asked myself after reading about migrant workers George Milton and Lennie Small. Then I progressed to the middle of the story where things started to heat up. I was beginning to like the story even more and developed an unending love that wouldn’t stop until the book ended. The ending of the book was really shocking to a lot of people in different ways. Some people might have had there jaw still hanging from suspense. Others maybe very confused about what happened. My evaluation of the book is a completely outstanding 10/10. John Steinbeck really knew how to make you feel about the lives of these migrant workers. 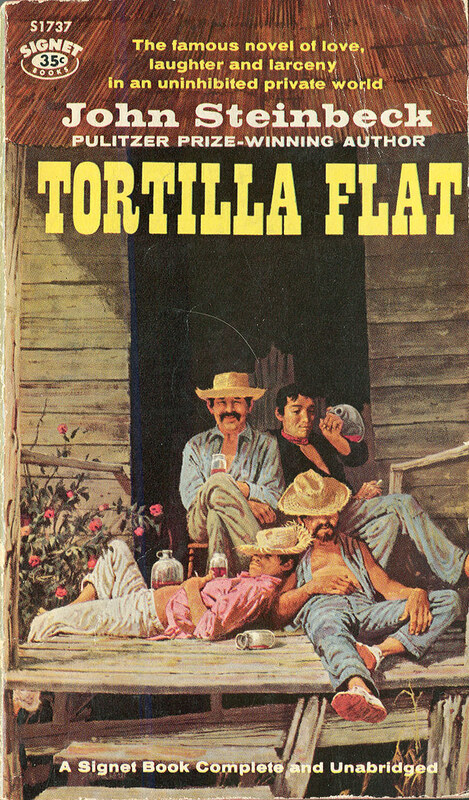 Steinbeck used many literary tools in the story such as foreshadowing, symbolism, and of course alliteration. These where used in the story because, without such vocabulary we might not have accurately pictured the lives of the migrant workers in real life. In general the whole idea of the book was the American Dream. Think about it: George and Lennie’s dream was to be there own boss. There was also many other migrant workers who wanted this dream too. I strongly recommend this book to anyone in general. 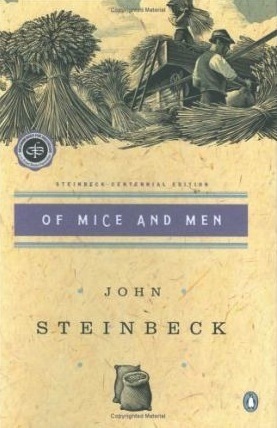 John Steinbeck’s Of Mice and Men is available for checkout from the Mission Viejo Library. It is also available for download from Overdrive. Posted on August 2, 2015 by Megan V.
In a world where most people are loners comes a tale of two marvelous friends and the obstacles that cross their paths. It’s 1930’s California in the Salinas Valley. Most men who come through are looking for one thing: work. All of them travel from farm to farm, working alone. This is not true for George Milton and Lennie Small. After being kicked out of Weed because of something Lennie did, they travel together on to the next farm with hopes and dreams of money to buy land: a few acre land with a small house and freedom from the bosses and a little patch for Lennie’s rabbits (he’s really obsessed with rabbits). There on the next farm they met people with hopes and dreams, and learn the basis for reality: dreams will get crushed. This story is far by one of my favorites. Although (spoiler) the ending is quite sad, there are times when I laughed hard. By the way, the mice part is a metaphor: there is only one mouse, and it’s dead. The title comes from the poem “To a Mouse, On Turning up her Nest with a Plough”: “The best laid schemes o’ Mice an’ Men” go astray, saying that we have hopes and dreams, but something shatters them (which describes the book very well). Steinbeck worked on a farm once, so he knows, and describes very well, the life on a farm in 1930 or so. At times, it’s also a little hard to read because of the Californian accent. However, some good advice is to say it out loud. For example, “purty” is actually “pretty”. Even so, I encourage you to read this book! After I read it, I gave it a two thumbs up. Interestingly, the characters talk about a “cat house” a lot. It’s meaning is actually something different in modern times. Posted on July 23, 2015 by Megan V.
Who’s heard of Of Mice and Men? I don’t mean the band; I’m talking about the famous John Steinbeck book set in the life of the farmers who worked in California in the 1930s. If you do of who I’m talking about, and also like Of Mice and Men, then you’re in luck. 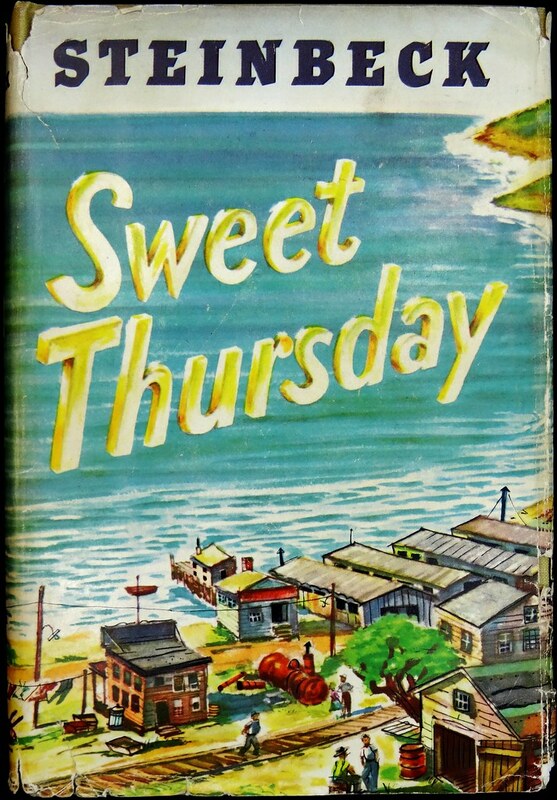 John Steinbeck wrote multiple books about people living in California including one of my personal favorites, Cannery Row. This book is about the life of the people who lived along the streets of Cannery Row in Monterrey: drunks, a famous doctor, the Chinese man who owns a successful grocery store, even the gopher looking for a mate. Most of the book talks about how each person goes about their life, but the main story is about a humorous group of men who travel from job to job, their plans to throw the famous doctor a party, and what goes wrong. Along with a simple, no evil guys, slice of life story, there is comedy and a real life example of how people lived in the 1940s after the war. There are also themes of loners, but there is the lesson that someone is always there to support you. It’s a little hard to read, but I found this book amazing and encourage you to read it. Cannery Row is available for check out from the Mission Viejo Public Library.